Before doing any of this, I recommend backing up your Audio folder somewhere. In case you end up saving over something. 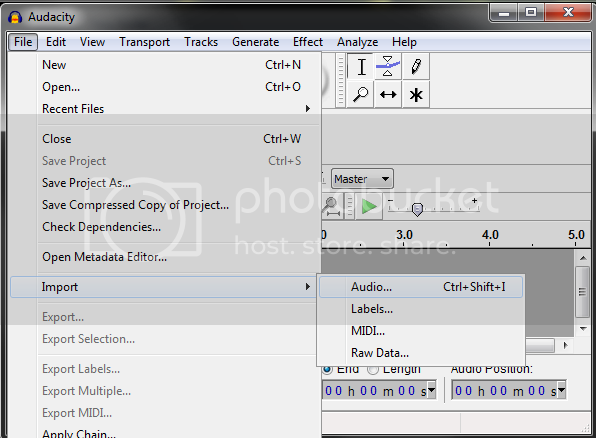 Download the version of Audacity you need. 1.3 works best on win 7 and vista. 1.2 is for earlier versions. Then after you download it, go ahead and install it. NOTE: You cannot import a midi file then export it as an OGG file. So it'll work on mp3s, oggs, wmas, wavs. NOTE: The audio file you see is for example. Don't be hating ._. Importing your sound files is easy. Open up Audacity, go to File, then Import, then Audio. Browse for the file you want. Lets notice the file size before hand. Click okay, it'll take a few seconds to import the file. Now, we're practically done. After you import it, just go to File > Export. That easy. Choose file type as Ogg. Then click okay when the song info box comes up, or edit the info. Up to you. Now that your new mp3 or other audio type is exported as an ogg lets look at the file size. Sure it doesn't seem like much of a difference, but that extra bit it knocked off, builds up with custom mp3's and sound files. So it helps, and people are more likely to download your game if it has a small file size. Nice tutorial. Two questions, though: first off, the file name of the song says "Kate Perry - I Kissed a Girl," whereas the title bar of the program after importing says "Party in the USA." O_O Wat. Secondly, MID file sizes are already so small due to the nature of the file that shrinking them any smaller not only is impossible, but is unnecessary. Converting an MID to an MP3 and then making it an OGG to reduce filesize would actually result in a much larger file than you had in the first place. I think it's having an effect on your brain. That's probably why you spelled "Audio" wrong in your topic title. I don't blame you. I'd do her, too. There is not in the music format. All that matters is bitrate. You lowered the bit rate, resulting in ogg and reduced the volume of music. However, if you look at mp3 and Ogg at the same bitrate, you'll see that the mp3 even less weight than Ogg. 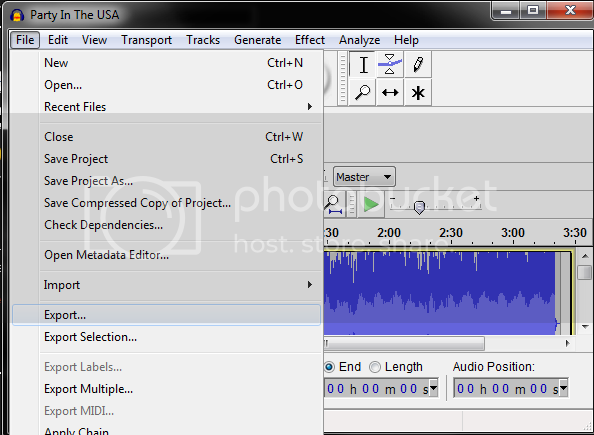 To do this, I picked up an mp3 at 320 kbps and pinch it in 112 kbps mp3 and 112 kbps ogg. After: MP3 - 2,50 MB. And the quality in Ogg been immeasurably worse. P.S. I'm made this again and gave to you all some screenies.